More trouble in the offing as skepticism describes the future of Kenyan teachers. 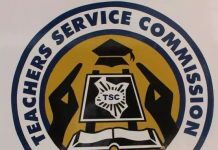 On Thursday 17th Oct 2018 TSC CEO called off the most anticipated meeting that was to settle pertinent issues affecting teachers. In a bid to repsond to TSC decision, KNUT SG hon. Sossion has come out strongly to point fingers at the commission. 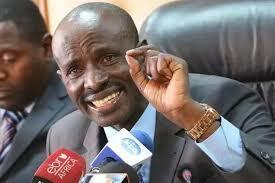 Sossion has registered his disappointment how the commission is carelessly addressing teachers grievances. The two parties have held a series of fruitless meetings since the month of August. Two months later uncertainty cloud still lingers as the blame game continues. “In the circumstance, we hereby demand that within the next seven (7) days, a meeting be convened failure to which steps and actions shall be taken without any reference to you,” read the statement. This is coming barely a week shy the beginning of national examination. Any decision by the union ask teachers to down their tools will jeopardize examination since teachers play vital role in this exercise. Arguably its crystal clear that KNUT is fighting a losing war. TSC is extremely smart. Too smart indeed. The commission brainly uses its delay tactics to keep time moving. Nevertheless, its important to keep in mind that as much as the two unions (kuppet and Knut) are still reading from different scripts, the future of teachers in Kenya will continue to be in limbo.